David Jason’s comeback to Christmas TV and his return to the role of Granville in Still Open All Hours was the biggest rating winner on Boxing Day. Over 10million tuned in to see the return of the show which originally aired 30 years ago. The BBC swept both the Christmas Day and Boxing Day ratings and on both days sitcoms took the highest ratings with Mrs Browns Boys Christmas special the top rated show on the big day. The premise was pretty simple with Granville and his son are now owners of the shop that Arkwright used to run. As Ronnie Barker passed away in 2005, the Arkwright character couldn’t make an appearance but he was there in spirit throughout the piece. Granville wearing the yellow overalls that Barker made famous was probably the biggest reminder of the domineering stutter that used to get audiences laughing. For Jason this was a return to form following the disastrous The Royal Bodyguard series that aired at Christmas 2011. That six-part show wasn’t funny and there was a sense that Jason was clinging on too tightly to his Only Fools and Horses glory days. The Royal Bodyguard started off with 7.1 million viewers on Boxing Day 2011 but it quickly dwindled over the remaining five episodes. The strong viewing numbers for Still Open All Hours provided a pretty good basis for the following show on BBC 1. The adaptation of PD James' best-selling sequel to Pride and Prejudice, Death Comes to Pemberley, was the third most watches programme of the day. The first of three episodes of the sequel to Jane Austen’s famous novel attracted 5.9million viewers which was a 26.5% audience share. 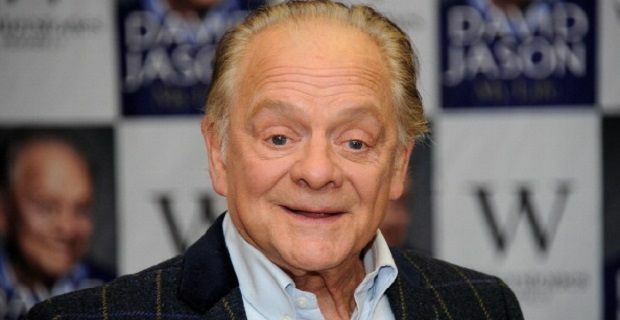 News that David Jason could star once more as Del Boy Trotter in an upcoming episode of Only Fools and Horses might not be too far off the mark given the audience response to Still Open All Hours.